Nikola Tesla is one of the most respected names in the history of science, having predicted the Internet and smartphones as early as 1926. A tiny blemish on his reputation was his support for eugenics. “Certainly no one who is not a desirable parent should be permitted to produce progeny. 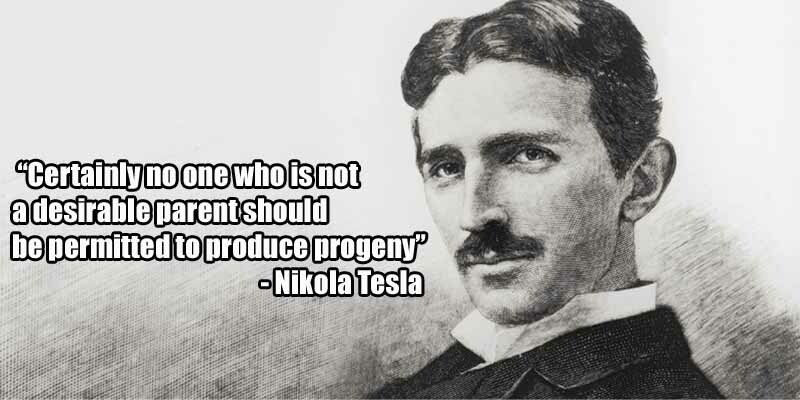 A century from now it will no more occur to a normal person to mate with a person eugenically unfit than to marry a habitual criminal,” said Tesla in a 1937 interview.